Bharath University, Chennai announced the exam dates for Bharath Engineering Entrance Examination (BEEE) 2017. The phase-I BEEE paper and pencil based exam will be held on January 22, 2017. BEEE phase-II paper and pencil based exam will be held on April 16, 2017 and online mode will be conducted from April 16, 2017 to April 25, 2017. Aspirants should have passed class 12 from a recognised board or institute. 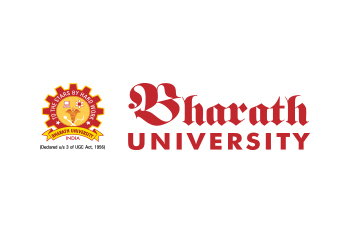 Aspirants can make the payment of Rs 900 drawn in favour of Bharath University payable at Chennai either to University (or) to the Corporate Office. BEEE is conducted for taking admission to Bachelor of Technology (B.Tech) and Bachelor of Architecture (B.Arch) programs for the academic session 2017.